Regardless of whether you tell the truth or not (call it “exaggerating” all you want, but plaque tells no lies! ), it now appears that even the ancestors of humankind had better oral hygiene than many of us floss-fearing modern types. And when they had a toothache, they took care of it themselves! Between 1.9 and 1.6 million years ago, the Neanderthals known as Homo habilis were in the habit of using “toothpicks” to remove food scraps trapped between their teeth. One particular fossil showed evidence that an individual used a toothpick to try and alleviate the pain of gum inflammation—periodontal disease, to be more precise—as the use of toothpicks could help mitigate the sense of soreness. This is the first known example of “pallative treatment with toothpicks, the oldest documented”, says researcher Maria Lozano. 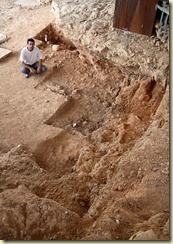 The fossil was found at Cova Forada, an archaeological site in Valencia, Spain. That said, there are other examples of Neanderthals using toothpicks—visible in grooves caused by excess toothpick usage—that have nothing to do with gum or dental disease. Pain alleviation or not, one thing is clear: If ancient people were picking their teeth to get rid of stuck food millions of years ago… none of us “modern” humans have an excuse anymore for not flossing! Scattered throughout Israel’s Negev Desert, archaeologists have discovered a number of traps set to catch leopards… and one of these is 5,000 years old! 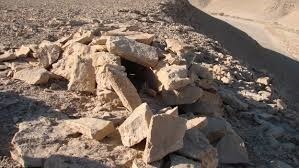 The 5,000-year-old trap was discovered alongside a 1,600-year-old trap, both of which are identical to traps that have been used over the past century in the area by local Bedouins. The discovery of these traps suggests that this ancient-origins technology has been used since the first local domesticated sheep and goats, in order to lure carnivores and thereby protect the flocks. At least 50 of these traps have been found in Southern Israel in the Negev, but the traps aren’t obvious when viewed in the landscape. The traps look just like a pile of stones, and it’s only when they’re dug into that it becomes obvious they were put there for a purpose. The traps were set by attaching a piece of meat to the end of a rope, luring the leopard (or other carnivore, really) to the trap. The rope was attached to a rock slab door, so that when the leopard grabbed the bait, the rope pulled the door closed—trapping the leopard inside a box trap made of stone. The location of the traps near 6,000-year-old goat and sheep enclosures helped archaeologists to determine their usage. 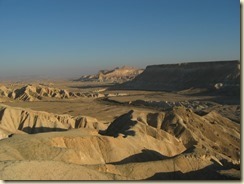 Today, the Bedouin and sheep-herders of the area don’t need to worry about leopards attacking their sheep. Habitat loss and hunting (and trapping, perhaps?) brought the population to extinction in the area. Turns out that all those reminders for us to recycle, recycle, recycle aren’t quite as modern a phenomenon as we’ve believed! 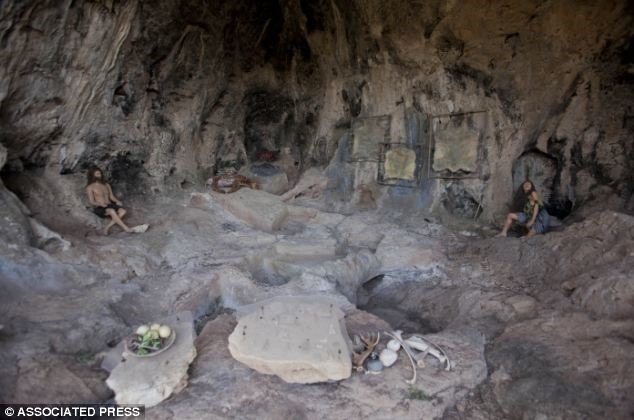 While it sure seems like environmentalists have turned up the heat these past few decades, the truth is that there’s mounting evidence that prehistoric humans were excellent recyclers—and they didn’t even have a Blue Box. 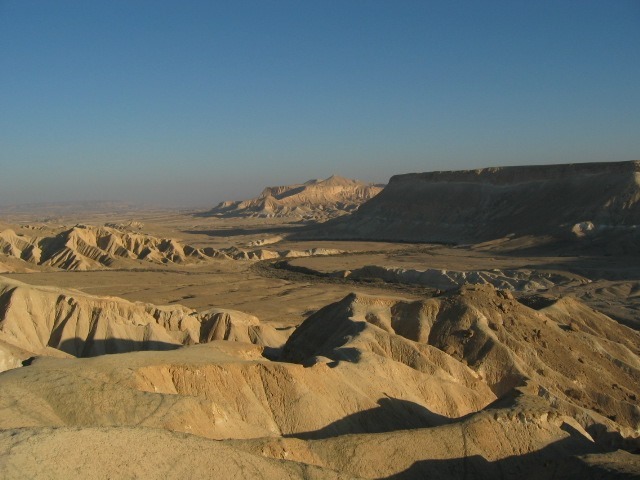 An international conference of researchers in Israel, entitled “The Origins of Recycling: A Paleolithic Perspective”, saw presentations and discussions on prehistoric recycling habits. In the same way that we recycle items like plastic and paper in order to create new items, people in ancient times collected broken tools or items made of flint and bone in order to create new things. 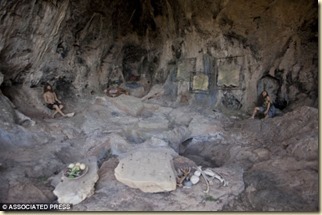 That said, it’s likely that Homo erectus, Neanderthals, and other hominids weren’t driven by a desire to “save the environment” or protect the planet, the way we tend to think about recycling in modern times, but the concept of energy conservation isn’t new either. If you recycle a piece of broken flint to create something new, you don’t have to find more. If you recycle a piece of bone to create a utensil or weapon, you don’t have to find another one that’s the right shape and size. It’s possible that this behavior began unconsciously, and then began happening on purpose after the benefits became clear. 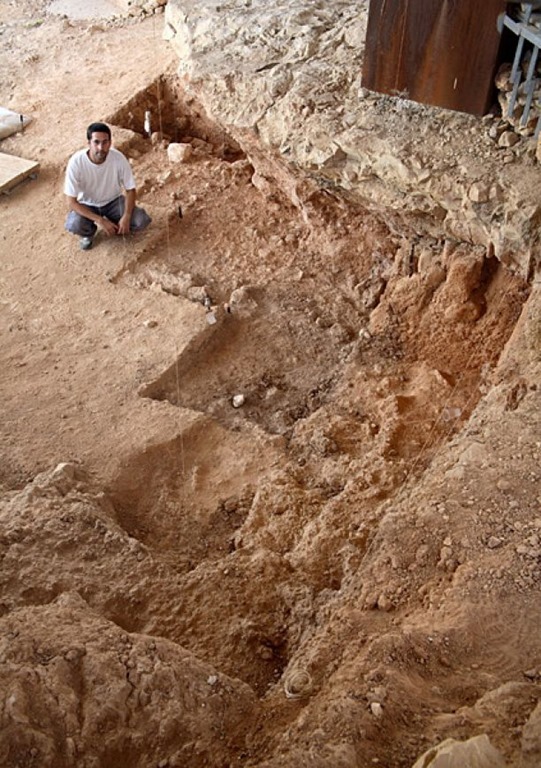 A dry pond near Rome has apparently yielded Neanderthal bone tools from 300,000 years ago, many of which show various levels of reuse and recycling—for example, “the bones were shattered to extract the marrow, then the fragments were shaped into tools, abandoned, and finally reworked to be used again” (Giovanni Boschian, University of Pisa; geologist). At Qesem cave near Tel Aviv, archaeologists have found flint chips that were reshaped as small blades capable of cutting meat—a possible early form of cutlery! And for the skeptics who wonder whether the flint chips were a natural phenomenon: scientists have methods to determine natural vs. man-made alterations to a particular material, looking at things like the object’s patina (progressive discoloration) or surrounding evidence of reuse. While the evidence for recycling in ancient history was certainly driven by different reasons than modern-day recycling, one thing is clear: No matter when or where in history, humans “appear to display similar responses to the challenges and opportunities presented by life over thousands of years” (Norm Catto, Memorial University of St. John’s; geographer). One might presume, based on what one knows about the ocean and its ample resources, that when living on an island, one would eat a significant amount of fish for one’s daily diet. After all, the island populations we know of today eat plenty of seafood, so why would we ever think otherwise? 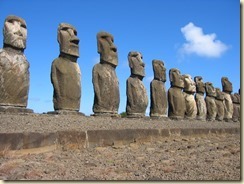 Ah, but Easter Island is full of surprises. 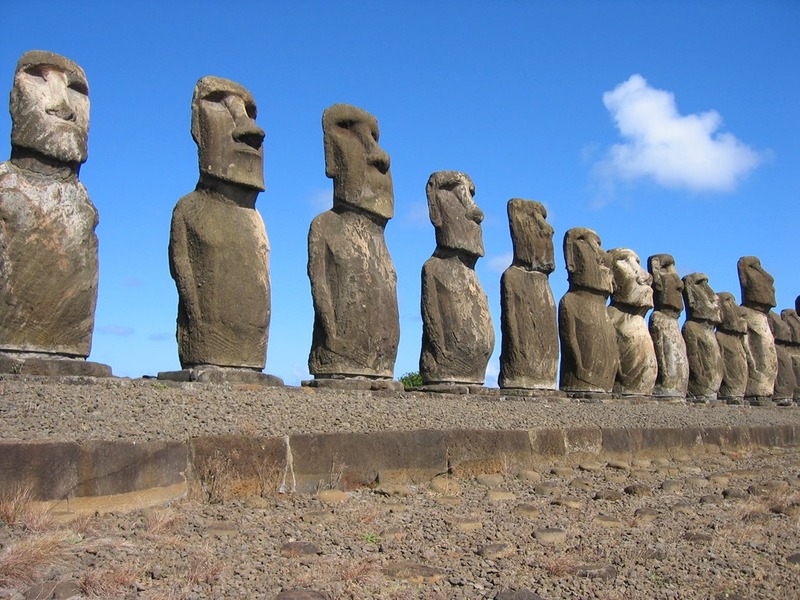 Rapa Nui—the island’s real name—was settled around 1200 A.D., and is located in the southeast Pacific. Most people know of this volcanic island from the large statues of human heads and torsos… but what about the people who lived there? It’s thought that the islanders, upon first arriving at at the island, likely had a stowaway onboard—the Polynesian rat. 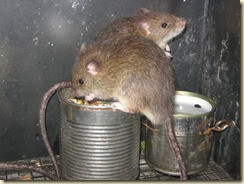 Some previous research on the island’s ecology has suggested that this breed of rat was partially responsible for the deforestation of the island, due to its ability to breed very quickly under the right conditions. But piles of rats also meant an ample supply of meat, which the islanders couldn’t exactly ignore. And according to research done on 41 sets of teeth from excavated burials, the islanders ate Polynesian rats as their main source or protein for several centuries. These tasty little rats (if one is to believe the taste description in ethnographic accounts) were eaten alongside plenty of bananas, sweet potatoes, and chicken—none of which are, obviously, marine products! The lack of seafood in the diet could have something to do with the island’s topography, because there are many dangerous cliffs and some environmental differences from one side of the island to the other. Between the steep cliffs and the cold waters, fish weren’t as abundant a resource as one might expect on a Polynesian island! After all, if it’s easier to catch and eat a rat… why not? It probably tastes like chicken.